A must-have accessory for the modern cowgirl! Add a little style to your cell! 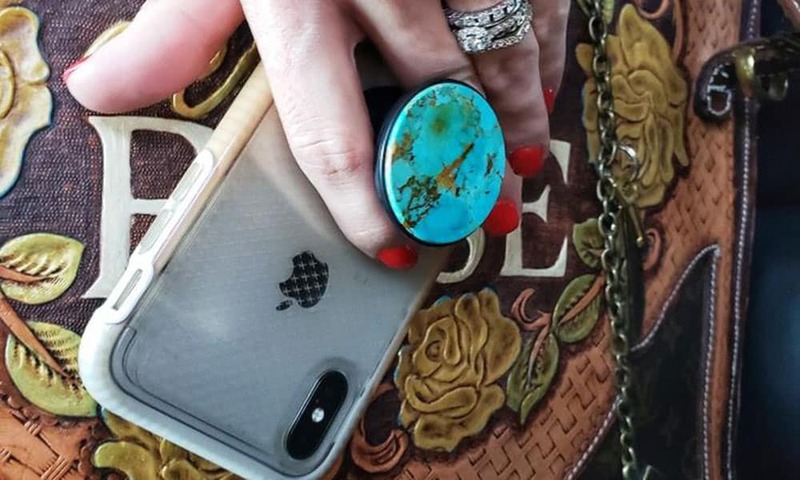 Perfect for snapping a selfie, these adorable Kingman turquoise cellphone grips from Desert Rose are the must-have accessory for the modern cowgirl. Made with genuine Kingman turquoise, these little gems are just the right combination of style and functionality! Preorder yours at Desert Rose! No filter necessary because these little grips are perfect just the way they are! It’s so easy to add a little style to your cell! Want more cowgirl approved accessories? You’ll love these custom watch bands!